Known as the “Spice Island,” Grenada has an atmosphere that adds a multitude of dimensions to that name. Against the backdrop of its production of Nutmeg, Mace, Cinnamon & Clove; the breathtaking surroundings, sights, and experiences accentuated by the warmth and vibrant culture of its people capture your heart, body, and spirit. The opportunities to immerse yourself are vast and span from spiritual to fun-filled adventures. Located just off Moliniere Point in the waters of Dragon Bay, this collection of artistic renditions inspired by the people and history of the island provides a fascinating encounter. Some of the Sculptures include The Lost Correspondent, Vicissitudes, Man on a Bike, Sienna, etc. 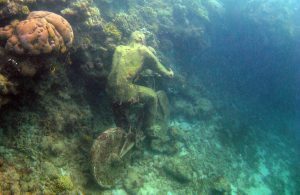 You can experience this in three ways; Scuba Diving, Snorkeling or booking a glass bottom boat trip. The scuba diving option requires training in advance however the other two are safe for everyone. Whether you’re a thrill seeker or you enjoy a refreshing dip of relaxation, the Balthazar River is the place to be. 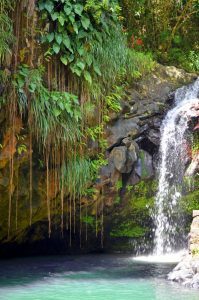 Located in the middle of Grenada tropical rainforest are an abundance of exotic vegetation and wildlife to behold. Here you can choose to wind down in the natural pools or get an adrenaline pump with river tubing through the rapids with trained guides. The tour is a truly unique way to explore Grenada’s nature at its best. You will also navigate through many sites of historical significance. 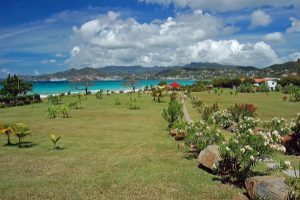 The journey begins at Point Saline and goes along the Morne Rouge Bay coastal trail there will stop at Quarantine Point where you can enjoy the view of Grand Anse Bay. Then you will travel along Lagoon road until you come upon Fort Frederick and Fort Matthew. Afterward, you will go along Morne Jaloux Ridge until you come to Fort Jeudy Point. Here you will behold impressive views of the Caribbean Sea before returning to the base. It is a condensed version of the tour which will be more breathtaking when you’re there. This Hike takes place in the Grand Etang forest reserve with knowledgeable guides who will be more than happy to let you know why it smells like Christmas cookies all year round. Delectable local fruits are abundant along with your path. You may observe local wildlife such as the Mona Monkey and native birds. 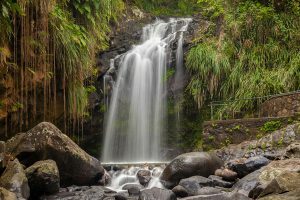 The reward at the end of your journey is bathing in the reinvigorating waters of the Annandale waterfall that emerges from the Grand Etang Crater Lake. Note that this is one of several hikes available across the island. The avid angler would appreciate the year-round inshore or offshore excursions with experienced captains who can put you on the fish. 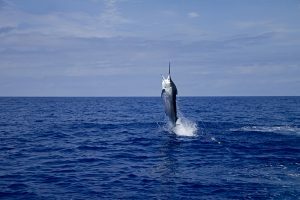 There is also the Annual Spice Isle Billfish Tournament that attracts anglers globally.